I am definitely someone who likes to paint their nails. I change my nails up every two/three days and it feels like a hobby! It's so therapeutic and exciting trying different colours and products. Yesterday, I had a lovely little day out with some friends and I picked up a couple of Essie polishes from Boots. One colour is 'Ballet Slippers' which is a beautiful muted, light pink. I think the name itself is enough of a reason to purchase this colour and the incredible colour it gives is a bonus. Another colour I picked up is the infamous 'Mint Candy Apple'. I've heard soooooo many people talk about this nail colour and I am finally in a position where I can say I see what the fuss is all about. 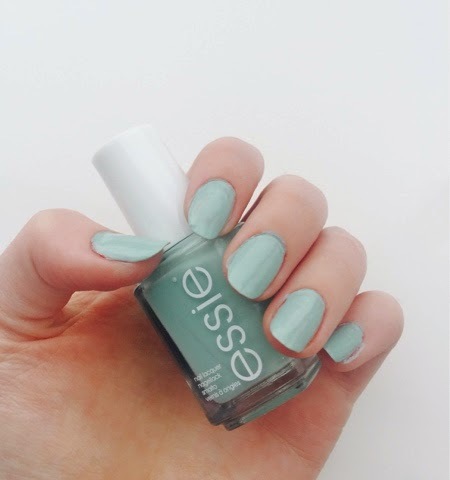 This colour is an amazing light and minty blue which appears very translucent after the first coat. But the second coat of this polish is when the colour bursts and comes to life. It's amazing what two coats does! Anyways, because I bought these nail polishes, it put me in the mood to share a couple of things I use to give myself a little DIY manicure. To take off old nail polish, I've recently been using this Leighton Denny 'Remove and Go' polish remover. 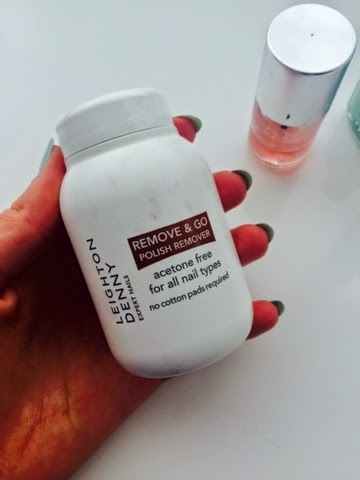 It's one of those dippy nail polish removers, which I think are pretty much revolutionary. It is acetone free and saves so much time! I really like this product and it was actually a gift from my great grandmother who really likes using this product! 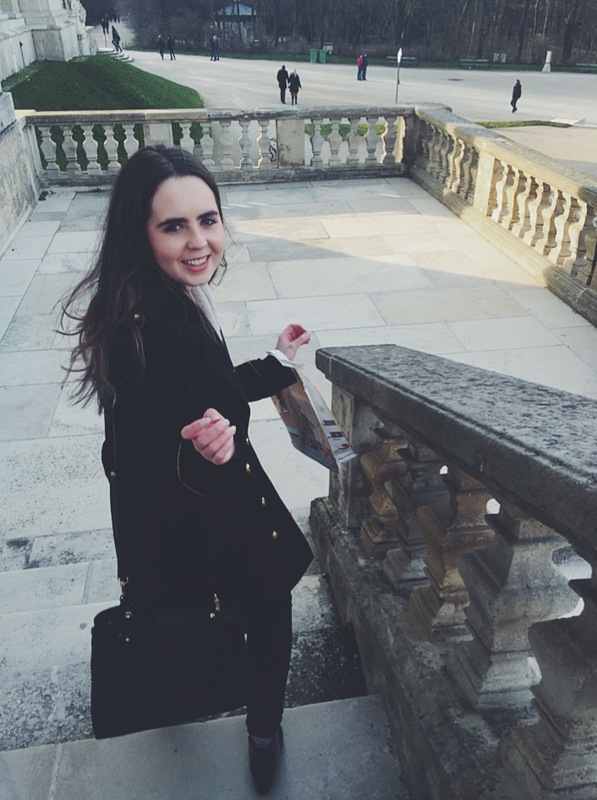 I definitely trust her with beauty recommendations, so it's safe to say you should too! 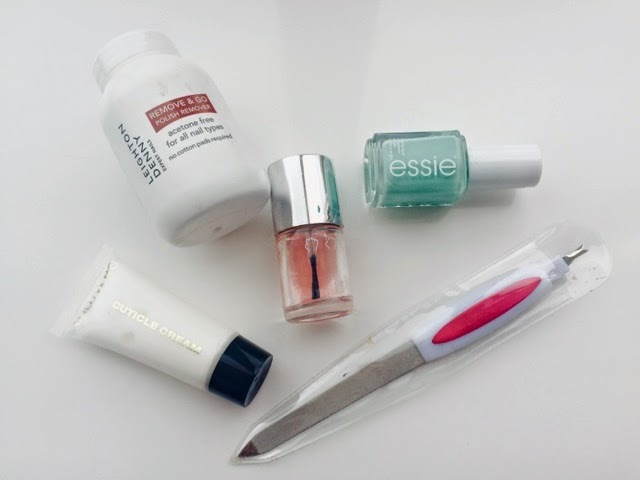 I also like to apply cuticle oil or cream after using nail polish removers just to soften the cuticles before I push them back. 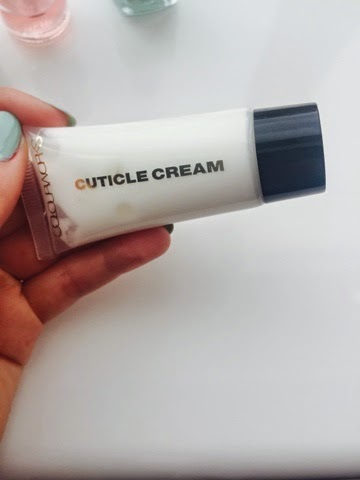 Right now I'm using this ColourWorks cuticle cream which came in a gift set I got for Christmas. It works really well and you don't need to wait too long after applying it for the product to dry off so you can then apply nail polish. It's always a pain when you need to wait five minutes for the product to dry! This Nails Inc. polish is called 'Kensington Caviar' and is my go-to top coat. 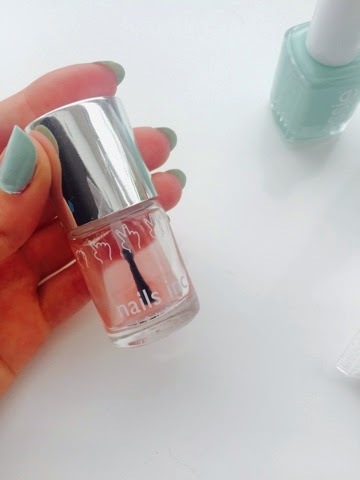 It gives an incredible, almost gel looking finish to your nails without looking too thick and gloopy and it also dries my nails incredibly quickly! I highly recommend this product. 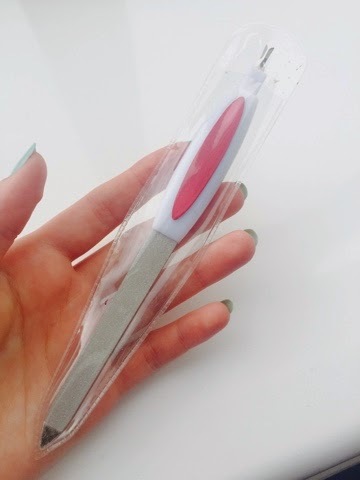 I always like using these metal files, as well as the wooden ones, and this particular one has a little buffer part to it as well which is great! It's like a little 2 in 1, very handy. 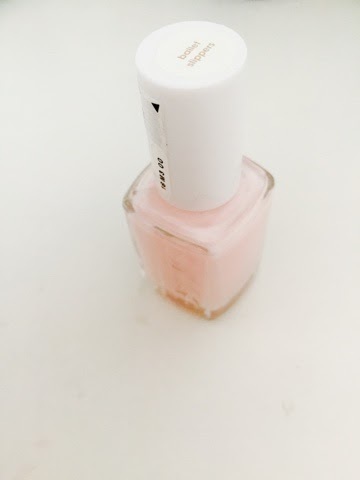 So, I hope this quick little post has inspired you to go grab a nail polish and give yourself a little treat! Thanks for reading!